The other day we ventured south to Branson, MO. Branson is supposed to be the local mecca of entertainment. While this may be true, one had better have some deep pockets if one wants to have the full Branson experience. 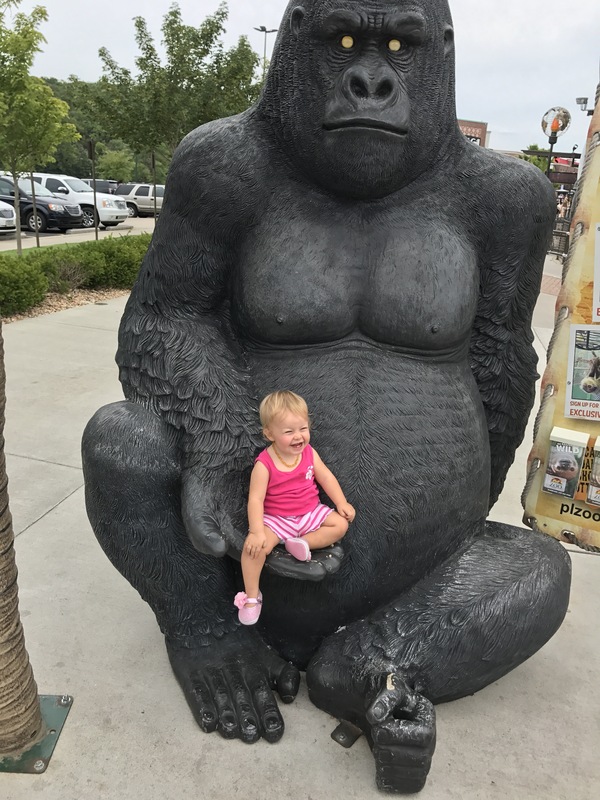 There are many shows and attractions including Dolly Parton’s Dixie Stampede, the Branson Belle, the Titanic Museum, and various other stage shows around the Branson area. This does not include the go-kart tracks, mini golf courses, and museums. However, at $30-90 for each…per person, we chose to have less than the FULL experience. 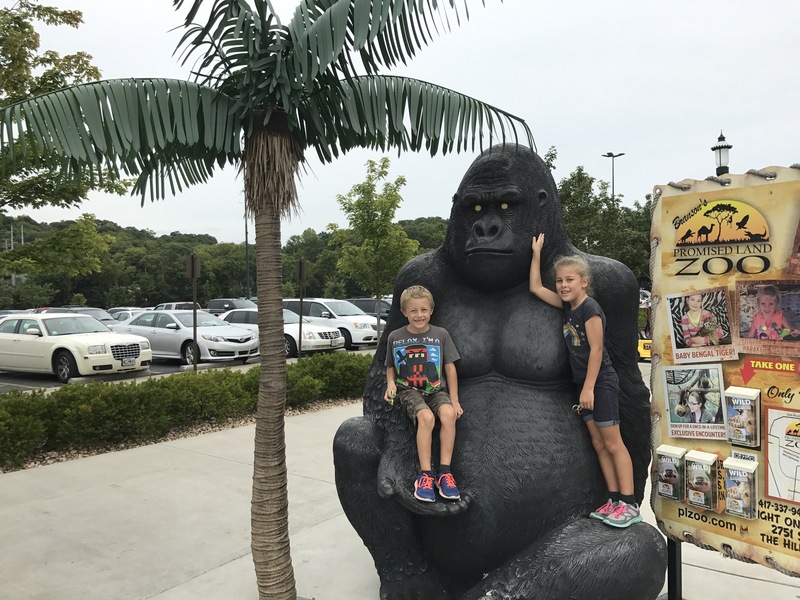 We instead opted to stroll the Branson Landing Boardwalk, explore the local shops, and take a ride on “Sparky” the trolly-themed bus. We were intending to see the Branson Landing Fountain Show, but for whatever reason, the show was not in operation on the day we were there, much to our dismay. Along the way we also made a stop at the Table Rock Dam. 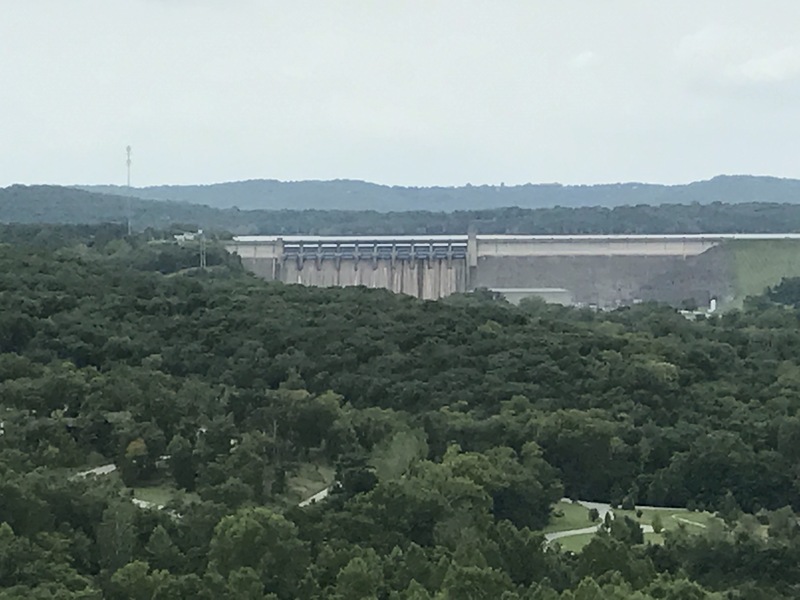 The Table Rock Dam is a hydro-electric dam along the southwest side of Branson operated by the US Army Corp of Engineers. 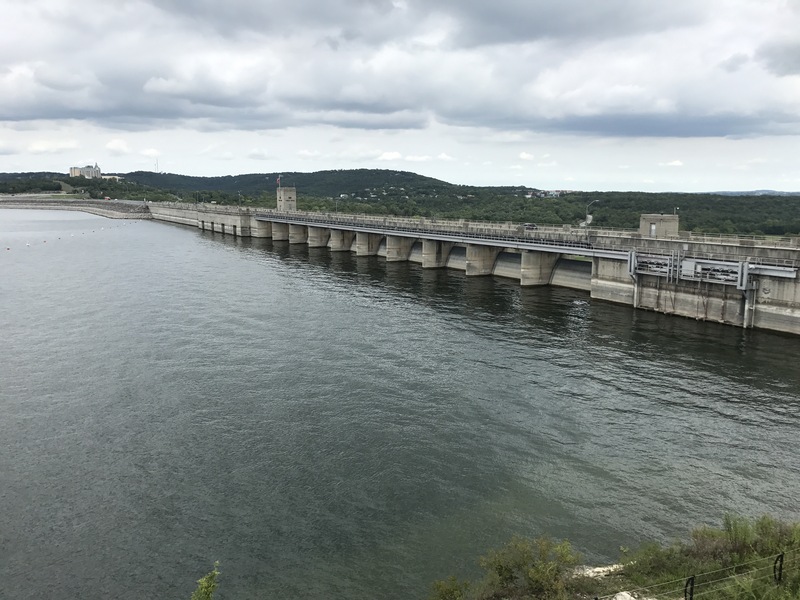 The dam has a very nice visitor center complete with info about the local river and lake as well as an interactive exhibit about boater safety. There was a video explaining how and when the dam was built, and a cut-away model of how the dam generates electricity. 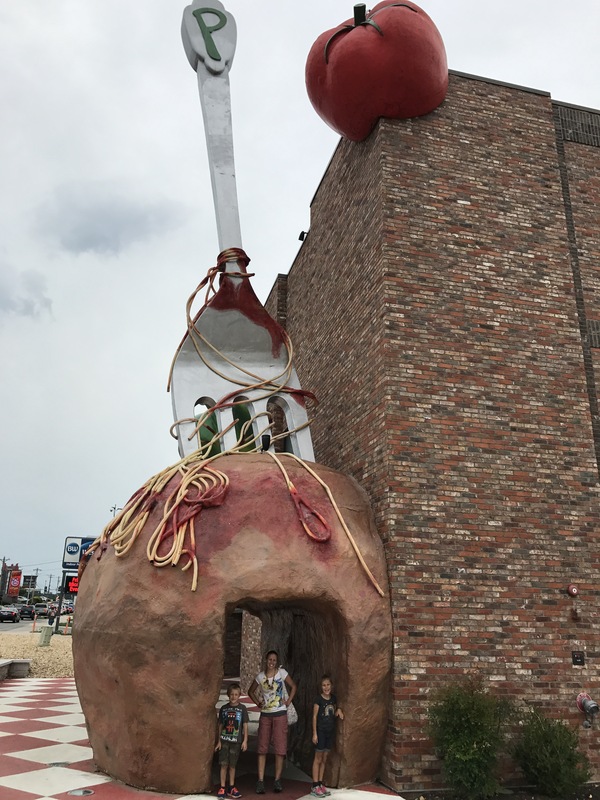 To finish our day in Branson we enjoyed a tasty dinner at Pasghetti’s Italian restaurant, which had a giant fork, meatball, tomato, and green pepper in front of their building. For those of you familiar with the Spaghetti Warehouse, it was similar, but in my opinion not quite as good as Spaghetti Warehouse. We still enjoyed it none the less though. Next Next post: We are Weird!